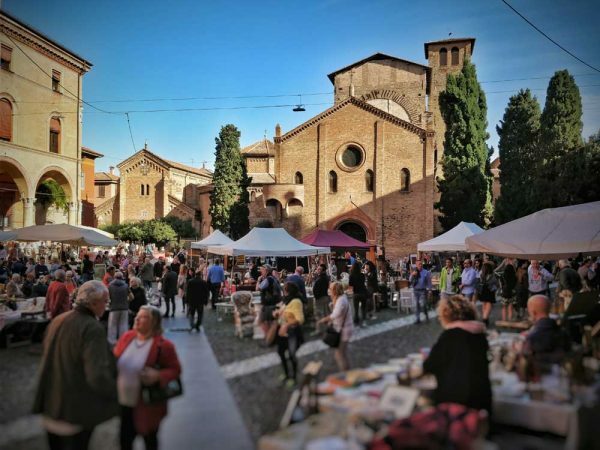 Not sure what to do in Bologna? Here are 22 things to do in the beautiful city! You’ll find tips for fisrt time visitor as for those who already know the place. These are the 5 things to do absolutely the first time you visit Bologna.This way you can live the fundamental experiences and get a first taste of what the city has in store for you. After that there will be nothing left to do but to plan your next visit. 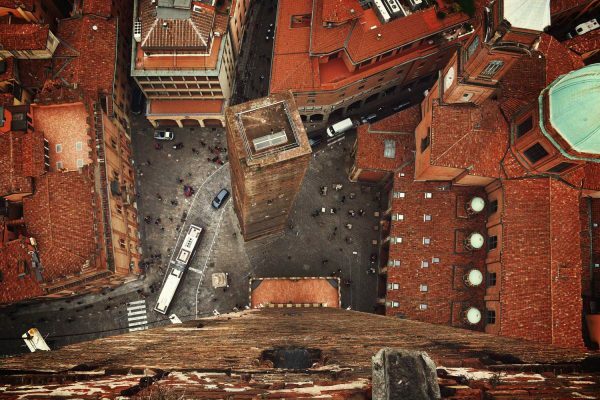 The Torre degli Asinelli is one of the city landmarks, a building with an ancient history and adorned with legends. Reaching its terrace is an experience not to be missed. The exciting view from the terrace will allow you to appreciate the Basilica of San Petronio in all its majestic figure. Climbing to the top is possible thanks to a wooden staircase that counts as many as 492 steps, so wear comfortable shoes and get ready for a healthy physical activity. An ancient culinary tradition that began in the Middle Ages, the Bolognese cuisine is appreciated and known all over the world. After discovering what to eat it’s time to find a place to taste typical dishes. In this case we recommend restaurants or typical trattoria. The Compianto sul Cristo Morto is an artwork full of pathos, worthy expression of the greatest Italian sculptural art. The Compianto is located inside Santa Maria della Vita in via Clavature. The Quadrilatero is the neighbourhood that since the Middle Ages has hosted the crafter and commercial activities of the city. The beautiful streets that compose it have kept their ancient appearance. Many old signs stand out in the corners of the streets. Getting lost in these little streets with a romantic charm is undoubtedly one of the things to do in Bologna. The one of seven secrets is an exciting journey that will allow you to visit the city from a different perspective. 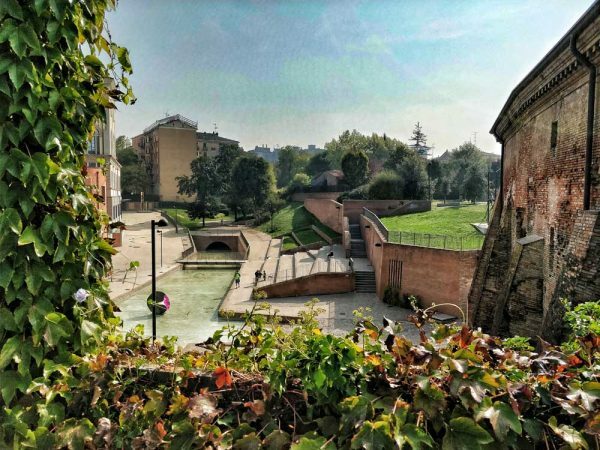 You will open your eyes to a new and unknown world where mysteries take shape through statues and landmarks of Bologna. It is not the first time you visit the city or have you decided to stay there for some time?Perfect, here you will find some more advise about what to do. Surely one of the most loved habits of the Bolognese, this walk will take you through the longest portico in the world. Depart from Saragozza gate and then reach the top of the Guardia hill and stop to contemplate the beautiful Sanctuary of the Madonna di San Luca. The route is certainly not easy but reserves some pleasant surprises and is certainly a unique experience. The museum of modern art in Bologna known as MAMbo is a place that embodies culture and art. The wonderful modern and contemporary collection is among the most important in Italy, in fact it has been the most popular museum in recent years. This thanks to the numerous temporary exhibitions that host internationally renowned artists to the city. Did you know that the Osteria del Sole is the oldest in Italy? There are written testimonies that date it back to 1465 and, despite the passing of the years, the Sole is still shining, remaining a place of other times. In this medieval-style tavern, conviviality is a must! As in many European cities, a Jewish ghetto was also established here. Its dark and narrow alleys have not undergone major changes and return today a surreal image. Simply say the name of the main street “Via dell’Inferno” (hell’s street) to feel a shiver down your spine. Galleria Cavour is an excellent place for luxury shopping. Here you will find all the luxury and high fashion that you have always wanted. Just walking in the gallery that extends under the ancient palace of the Pietramellara family will make you feel like you’re in a fantastic dream. Why not? a nice bike ride through the city center is both fun and easy. In the city there are many cycle paths and dedicated areas. The bicycles are so appreciated by the residents that the municipality has even created a bike-sharing service, try it! An icecream that makes history, Cremeria Funivia is the perfect expression of the Bolognese ice cream tradition. For years the care and dedication of the ice cream makers is recognized by the local population. This is demonstrated by the patience with which the Bolognese wait in line to taste this delicacy. The craftsmanship is kept alive and you can still find historic family-run shops. Visiting these old shops is a way to contribute to the maintenance of that care and passion of work that is being lost over time. If you are looking for a relaxed environment in which to spend a nice evening via del Pratello is the place for you. Along the way there are several pubs, wine bars, restaurants and finger-food places. For years now, the area has become a haunt for those who love nightlife. Surely you will find what is right for you! This beautiful place is located in the city center, in via Ugo Bassi. The Mercato delle Erbe is not only the city’s fruit and vegetable market, you will also find foodshops with typical products. But the best is yet to come! Although the central area of the building has remained unchanged, the side rooms host restaurants and coffee shops where you can stop to eat and drink. Just walking a few streets and you’ll notice that you’re in the city of Portico!Even if the days are not sunny not worry about it.Indeed, thanks to this beautiful architecture, the rain will no longer be an inconvenience but you can appreciate it while being comfortably sheltered. So you have been there many times and you don’t know nothing new to do. Well, our guide will try to amaze you with 6 more things to do, in this way we hope to make you feel like you are visiting a new and unknown place. The Certosa is one of the most important cemeteries in Europe, in the 19th century the architectural and sculptural heritage of exceptional beauty made this place a stop on the journeys of Lord Byron, Theodor Mommsen, Charles Dickens and Jules janin. The historic home where Giosuè Carducci spent his last years is now a space dedicated to culture. The Casa Carducci library consists of volumes collected by the poet and can be consulted freely while the rest of the building houses the Museo del Risorgimento. The charming Cavaticcio garden is just a few steps from the MAMbo. This enchanting place is what remains of the ancient port area. Despite the enormous changes it is still possible to see part of the Navile canal emerging inside the garden. The Prendiparte tower is one of the 24 towers that survived to this day. Although the tower guests a wonderful bed and breakfast, on occasion you can attend an aperitif on the terrace. Drinking wine on the top of the tower and enjoying the view is certainly one of the most sensational things to do. Don’t you know? Maserati was born right here, not far from the Seven Churches. Today a plaque commemorates the place where the first headquarters of the prestigious car company stood. Engine enthusiasts will be proud to know this particular! If you thought that museums were just boring places where you have to contemplate in silence artworks, we will change your mind. At the Spazio Tilt is hosted part of the heritage of the Flipper Museum, over 400 specimens including pinball machines and video games. Important: every appliance can be used by visitors because these machines are designed to be used and not looked at.